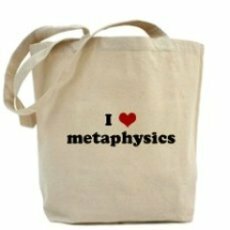 Finding free metaphysics gifts is a great way to start learning about and applying metaphysics in your life. Dowload ebooks, listen to interviews, watch video lessons, and much more at Metaphysics for Life. Join the Foundation for Creating A Mind With Heart (membership is free) and get a free copy of the ebook, "Your Heartcompass Owner's Manual". Learn more about Creating A Mind With Heart here. 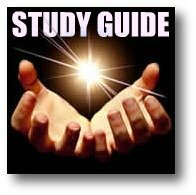 Use this form to Subscribe to OffRamp Updates and get the Metaphysics for Life 8 "Week" Study Guide and Certificate of Completion FREE! The Institute of Heartmath offers a wealth of free research, tools, techniques, and activities at their educational website, Heartmath.org. Learn about Heart Intelligence, develop your intuition and inspiration, relieve stress, and improve performance in all areas of your life. 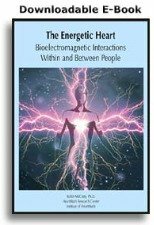 Metaphysics for Life recommends the ebook "Energetic Heart" because it explains the energetic heart field and how to achieve heart coherence. To learn more about Heartmath and their products and services click here. Listen to Gerald O'Donnell talk about the Heart and One Universal Mind. Gerald is a former military and intelligence agent who specialized in Remote Viewing techniques that bridge space and time, allowing oneself to perceive past and probable futures. O'Donnell uses a heart-centered approach that emphasizes connected with inner guidance and the Divine. Download his free ebook, "Remote Influencing" and listen to the interview here. 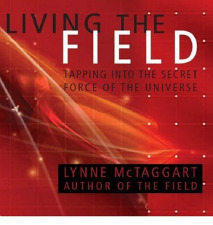 Download "Living the Field" by Lynne McTaggart, author of "The Field: Quest for the Secret Force of the Universe". 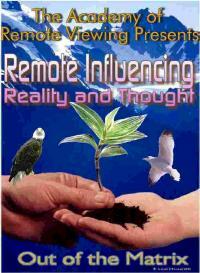 Lynne's book changed my life ten years ago, totally transforming how I saw the true nature of our world. Her free 18 page document summarizes new discoveries and developments in her work, with tips and techniques for applying these groundbreaking new principles. Watch more videos about metaphysics at A Mind With Heart Channel on Youtube. The official Youtube channel for Metaphysics for Life.